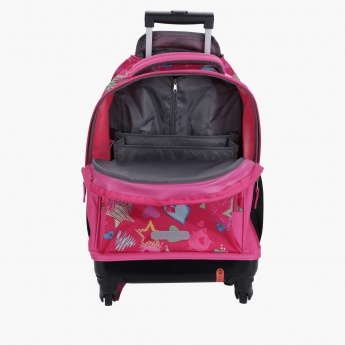 Your kid will travel in style as you gift her this lovely backpack. 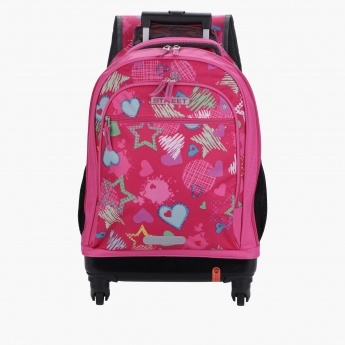 Sporting an attractive print all over, this bag looks appealing and has a zip closure to secure your kid's essentials. It has a soft back and cushioned straps to conveniently use it as a backpack.